Welcome to the third year of our exclusive Free Mystery Block of the Month by Pat Sloan! This year, Pat's theme is 'The Secret Garden'. 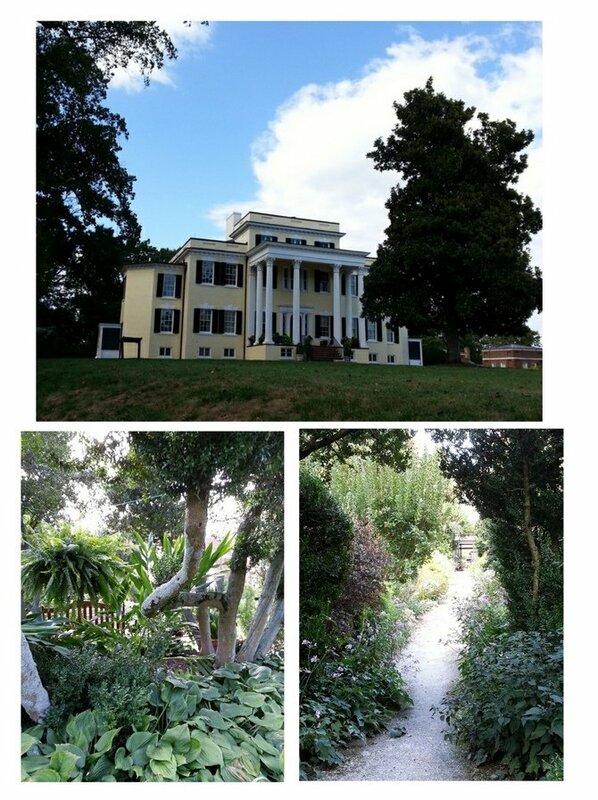 With Block 7 Pat stays in her own state of Virginia where she discovers a Secret garden at an Old Plantation. The past blocks and supply list are here. Watch the Video as Pat gives explains the bonus block. It is a repeat of Block #1 with different color placement. Visit Pat's page for a few additional fun insider tips and to share a photo of your block at her quilt show! If you are looking for kits for either colorway I'm doing, click on our list of shops to contact. Some have told me they have few kits left, lucky you! Oatlands Plantation is west of where I live, in Virginia. Some history from their website - In 1798 a young bachelor named George Carter inherited 3,408 acres of prime Loudoun County, Virginia farmland. Carter was a descendant of one of Virginia’s first families. The bowling green and the reflecting pool share one long terrace with the teahouse acting as one terminus and the young fawn statuary as the other. The rose garden and a memorial to a daughter of Mrs. Eustis also became garden elements. See… a place with secrets.. she put in lots of little twists and turns into that Garden!! 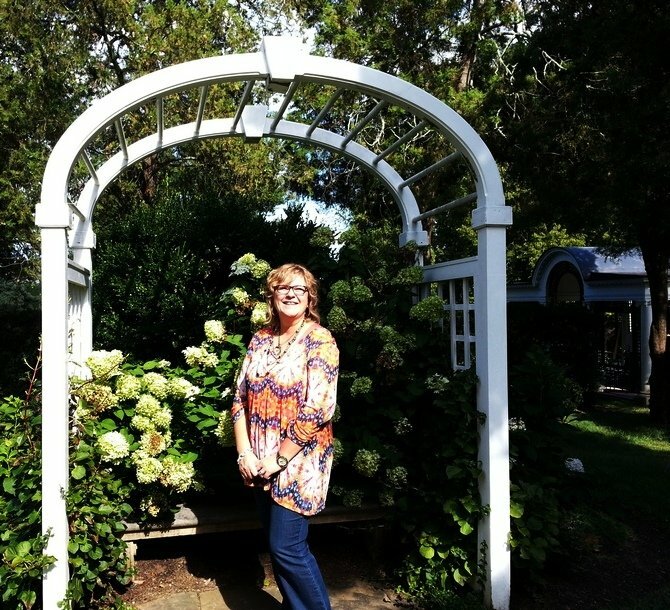 My Favorite find in this beautiful garden was this arbor and the Hydrangeas! The whole area was very lush and green. We went in early Sept so much of the flowers were done. Come over to my article to see where we went first.. it was DIVINE! And share a photo of your block at my quilt show!